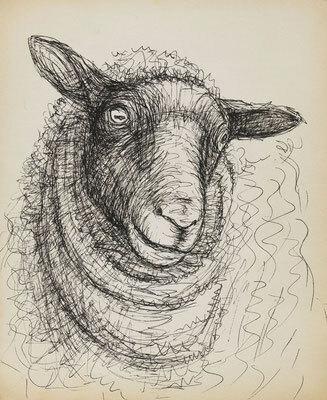 Collecting works for my post about sheep, I was surprised by Henry Moore's drawings. I know Moore (1898-1986) as a sculptor ofcourse. 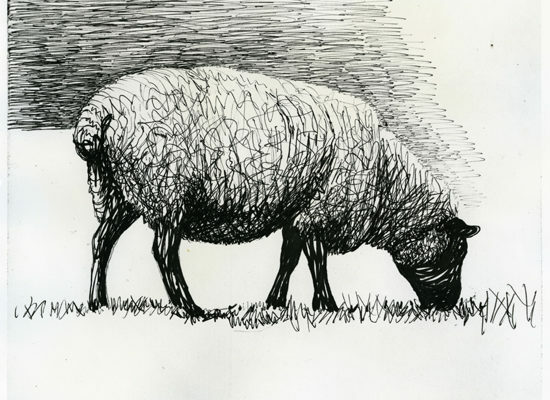 Sculpture is by definition always very clear-formed. His drawings are much woollier, much less defined. 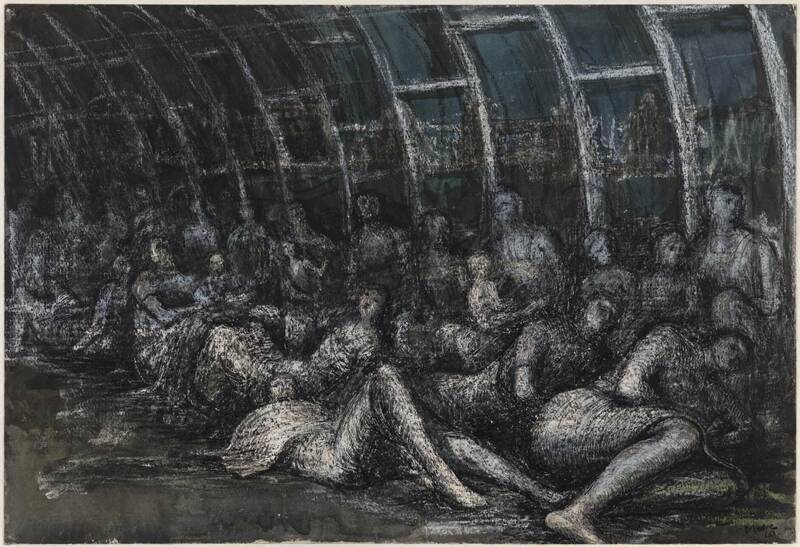 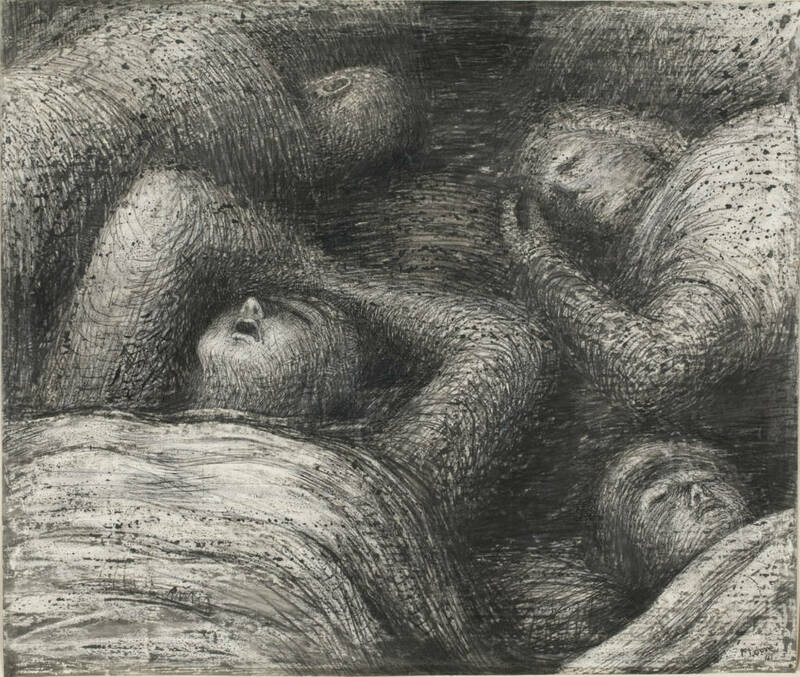 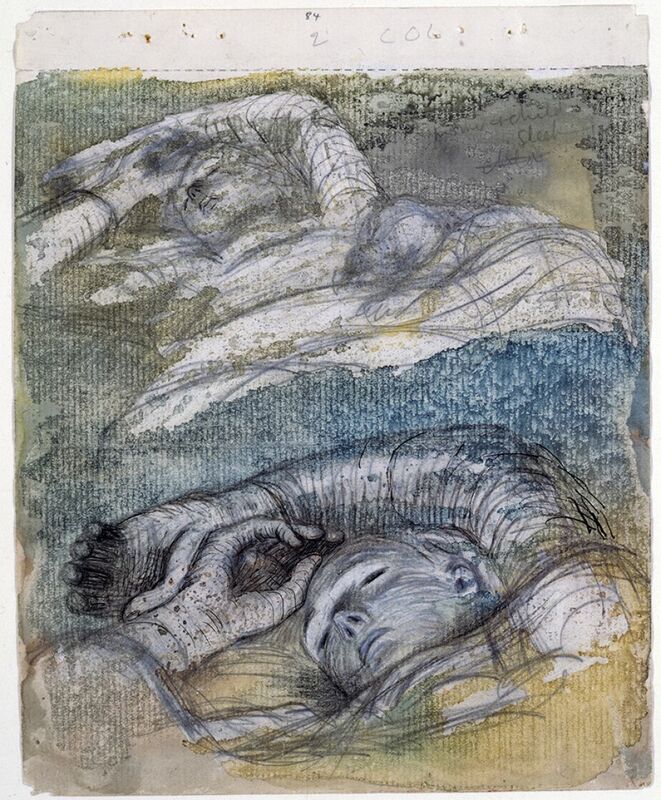 Except surprisingly many drawings of sheep, Moore also made many drawings of people asleep in bombshelters during world war II. 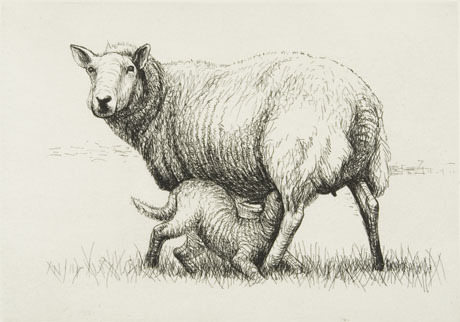 I particulary love the ones on the lower left and right.